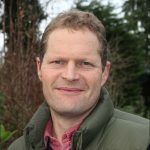 Ben is a Chartered Forester with over 25 years of experience of advising on farm woodland and tree management in Norfolk, over 12 years of those years with Norfolk County Council as Forestry Officer and the main contact in Norfolk for the Anglian Woodland Project. He has since held other roles and most recently as Woodland Officer for the Forestry Commission. It is becoming increasingly important, in order to access public funding to support woodland management, to have an UK Forestry Standard compliant long-term woodland management plan in place. Arboricultural impact assessments and method statements are now routinely requested whenever a planning application is required that may impact upon existing trees and progressively a higher duty of care in respect of the management of tree safety on farms is being expected.